Not all canvas is created equal... In the past few years, cheaper products have entered the market. For these products to be cheaper they must cut costs somewhere, and that means inferior quality. The Area you don't want to compromise on is the quality of the canvas. 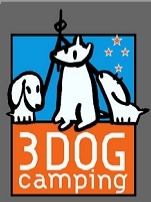 3 Dog Camping uses only the best canvas, developed and manufactured in Australasia for our unique weather conditions. Australiasia has a higher UV index than anywhere in the world, (Due to the Ozone Hole). That combined with the wind and rain often prevelent at holiday time, demand a quality product. All 3 Dog Campers are made with 11oz Billabong canvas. This canvas has been develped for our specific conditions. Click here for the specificatons and compare with other products. All retailers should be able to provide you with information on what standards their canvas meets. Are you confused by all the options and features available? Our mates at 3 Dog Australia have created this buyers guide to help you through the specification process. "13 Common Traps, Pitfalls and Mistakes That Unsuspecting Camper Trailer Buyers Fall For Regularly"
"How on earth did we end up with this lemon?" That might sound funny to you now, but unfortunately that's exactly what happens when the uninformed buyer of a brand new camper trailer walks blindly through the process of buying something they know very little to nothing about…. To read further, simply email us and we will e-mail entire article to you, free of charge! Article in "Camper Trailer Australia Magazine"
This makes some eye opening reading if you have the time.